World City: Refugee Stories presents the stories of nine individuals, each from a different country, who have come to London to find refuge over nine decades, from the 1930s through to the present. They come from countries as diverse as Poland, Hungary, Czechoslovakia, Sri Lanka, Rwanda, Chile and Cameroon. Each individual has a distinctive story to tell, yet there are common threads that link their experiences. The refugees’ stories demonstrate courage and resilience, a commitment to build a new life and to make a positive difference. 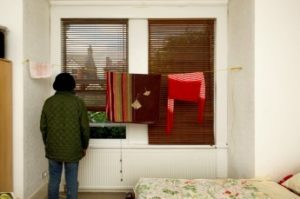 The exhibition shows evocative photographic portraits of the refugees in their London homes and objects that have special meaning for them. Further refugee stories are explored in a film and animation. Enter our NEW Flickr photography competition for children and young people! Be inspired by our new special exhibition World City: Refugee Stories and submit a photograph to our Flickr group responding to the themes of the show and show us what home means to you. Visit our Facebook page for World City: Refugee Stories events listings and follow us on Twitter for all the latest news! Use the #WorldCity when you are talking about the show!